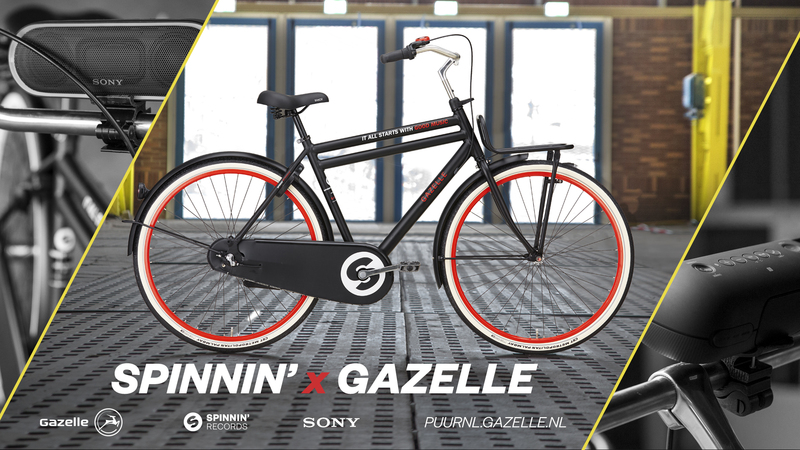 Spinnin' Records launched the first edition of the Spinnin' Bike, made together with Dutch bike manufacturer Gazelle, aptly named 'Spinnin' By Gazelle'. The first 200 bikes are for sale now. It was bound to happen one day. Holland, one of the most leading countries in the world when it comes to bike riding and the home of Spinnin' Records, is witnessing the launch of the first Spinnin' Bike ever. 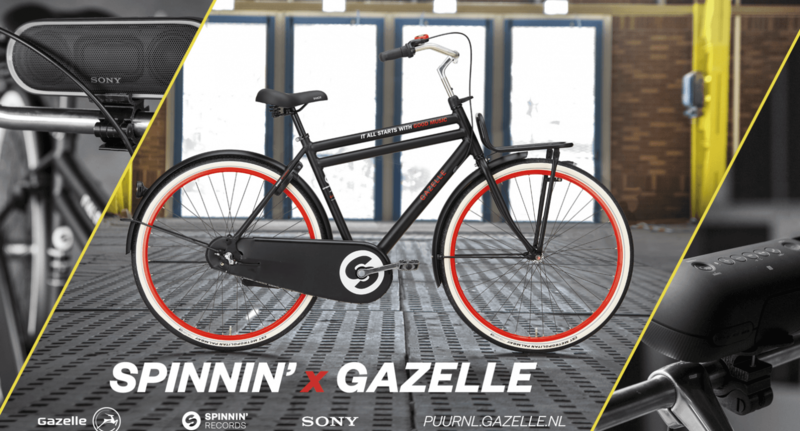 Watch the promotional video of 'Spinnin' By Gazelle' featuring DJs Mike Williams, Curbi, Sophie Francis and Mesto right here..
'Spinnin' By Gazelle' is the result of a collaboration between the music label and Dutch bike manufacturer Gazelle. For this first line, there's 200 bikes available, divided over men's and women's editions, for the time being only for sale in Holland. Along with the bike, you also receive an exclusive bonus in the shape of a Sony Extra Bass portable speaker, including attachment to the bike. This doesn't only make 'Spinnin' By Gazelle' a fine looking bike, but also excellent sounding and safe as well, since the speaker lights up and you don't need to wear a headphone while moving into traffic..